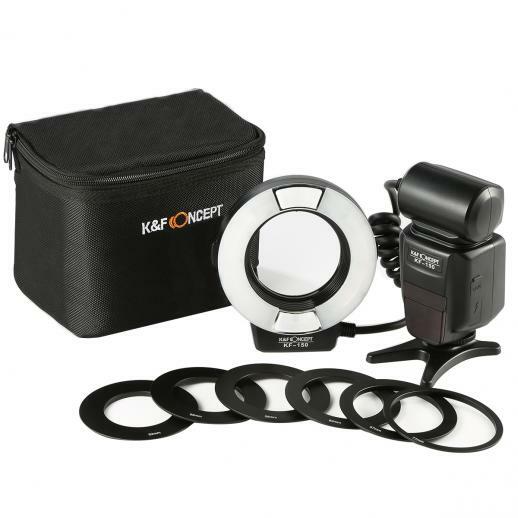 Buy K&F Concept kf150 ttl marco ring flash for canon eos rebel gn14 online, worldwide free shipping and 30 days return guarantee. • 2.9 seconds high-speed recycle time and supports LED assist lamp ,won't let you miss every wonderful moment. 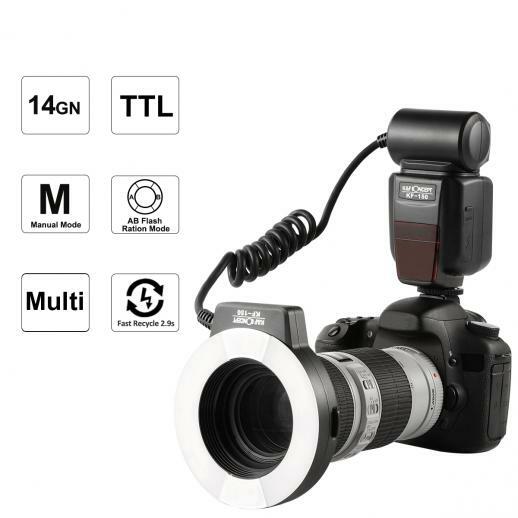 • Multiple flash mode: TTL auto flash for convenient operation as normal auto exposure; Master- manual flash for personal needs in exposure; Multi flash mode and rear-curtain sync for shooting a moving object. 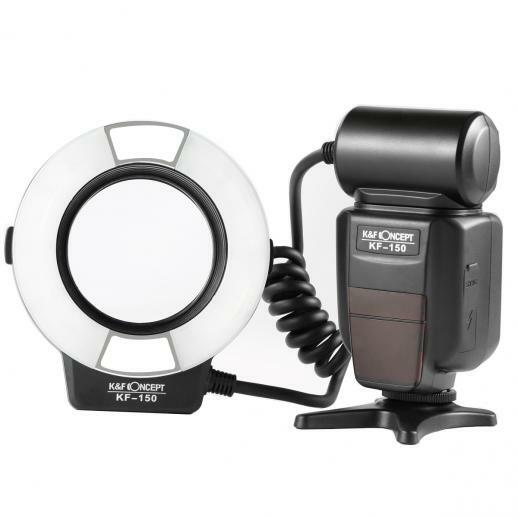 • Flash A and Flash B with adjsutable 8 grades flash brightness, desinged for a complete picture with particular subject and accurate exposure. • Dot-Matrix LCD display with backlight mode,can achieve easy adjustment for clear night photography. • Compatible with the Canon Reble ( T5i T4i T3i T2i ), EOS ( 700D 650D 600D 550D 70D 60D 7D ); 18-135mm EF-S IS STM, EF-S 17-85mm f/4-5.6 IS USM Lenses. Desinged for a complete picture with particular subject and accurate exposure. 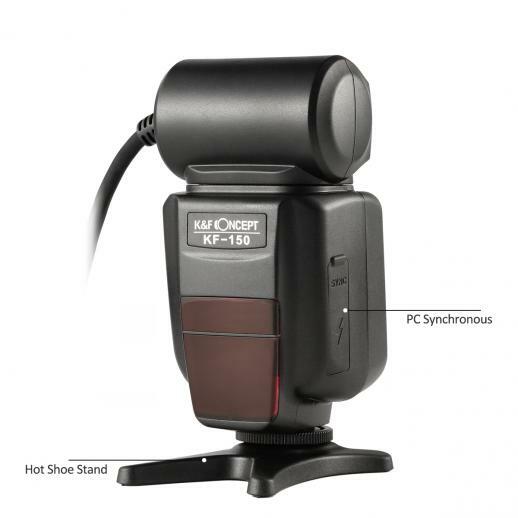 During a single exposure, let the speedlite flash multiple times. The trajectory of the subject can be captured by strobe flash. 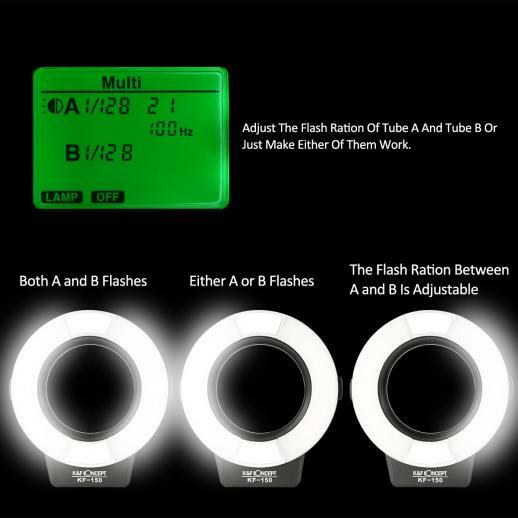 Adjust the flash ration of tube A and tube B or just make either of them work. 2.9 seconds recycle time at full power output avoids timeless waiting. 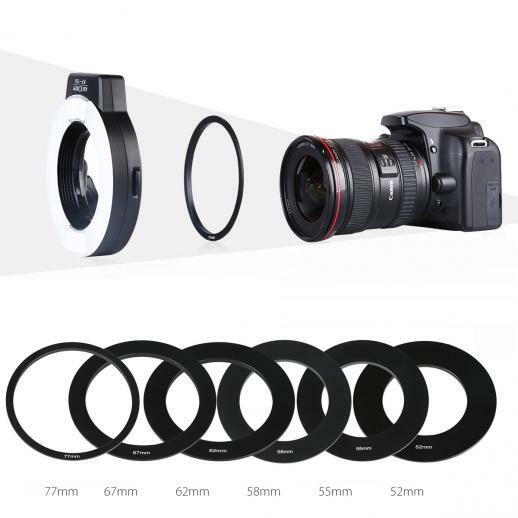 1 X User Manual 6 X Adapter ring (1pc/each size): 52MM, 55MM, 58MM, 62MM, 67mm, 77mm. For the money, I am impressed. 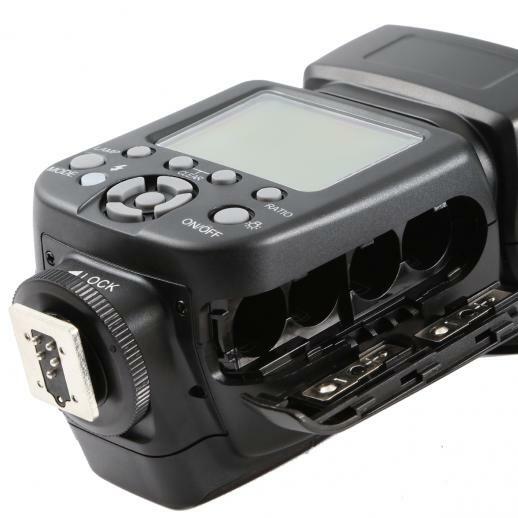 This flash is easy to install and operate. I have not used it enough to get an idea of battery life yet. The Battery door is kind of hard to get closed and if you are not a patient person I could see some people breaking it. 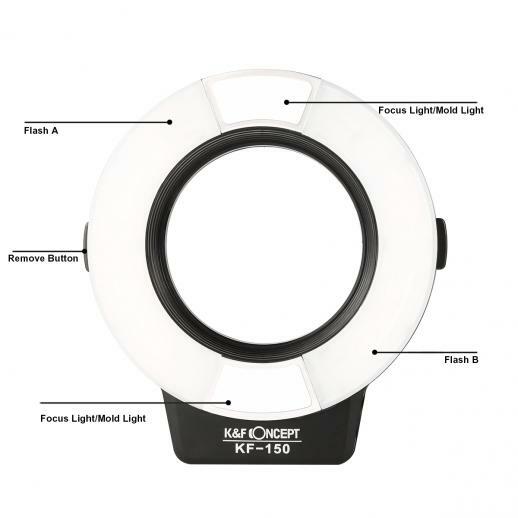 Some reviews mention the flash spinning around on their lens, I can see that happening. See mine mounted, it is up side down and stays put just fine. I was considering the Canon for around $550. I am very glad I bought this one instead. Great for a cheaper alternative than the canon, need to replace the batteries often so I would suggest buying rechargeable ones!! Good value product with some issues. 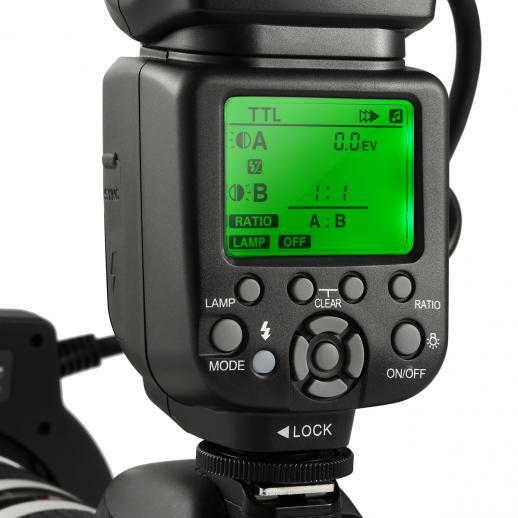 The product was a bit heavier than expected, and the coiled lead is quite tight and when on the lens, puts a lot of pressure on the front ring and feels like it is trying to pull it away from lens. After loading new batteries the unit did not want to turn on. After repeating the instructions a number of times eventually it turned on and seemed okay. After returning to the flash to play some more I had the same problem, don’t know if my batteries at fault or the connection is just temperamental. The product did arrive without the flash stand and I was disappointed that my 50mm 1.8 lens was not supported. I have emailed seller who responded positively but after submitting my full address for shipping a ring and stand they requested my phone number which I did not understand. I am currently thinking about just returning the item, but would have liked to test it in the field. Without these problems I a am sure it would have been a more positive review.